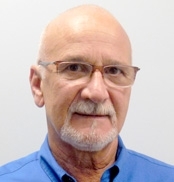 Frank has joined the D & D Team as the Director of Field Safety and Training. Frank has an extensive career in the elevator industry. Frank began his career at Archer Elevator in 1974 as a helper, moved on to route mechanic then went on to become the Operations Manager dealing with mechanics and customers alike. He was with the company until the sale of this family business in 1998. He then started with New York Elevator/ThyssenKrupp Elevator in 1998. He held escalating positions of responsibility throughout his career with them, starting as a field supervisor and on September 11, 2001 he became the Regional Field Safety Manager. Working not only with New York Elevator but with Mainco and Central Elevators. During this time, he trained all employees with OSHA training, along with visiting jobsites to make sure safety was in place prior to the starting of any job, and investigated injuries of employees and liability cases for the public. While in Manhattan, he became the Construction Manager and progressed to being the Manager of the Maintenance Department. He was also the Empire State Building Project Manager where he had a team of mechanics and repair teams working for him. When Hurricane Sandy struck New York City, he volunteered to work at 55 Water Street, running the repairs and operations getting 78 elevators back in service. Eventually Frank went on to be the Safety & Fired Supervisor in the Westchester area, in which he was in charge of all the route mechanics and also working closely with both the customers and elevator vendors. Frank was instrumental in designing an elevator tool that would change out hoist cables and safety switches for the whisper flex. At D & D, Frank is now working with all the mechanics meeting them on jobs and instructing them on safety training, maintenance skills, expanding their troubleshooting abilities and taking the time to visit and communicate with the customers.